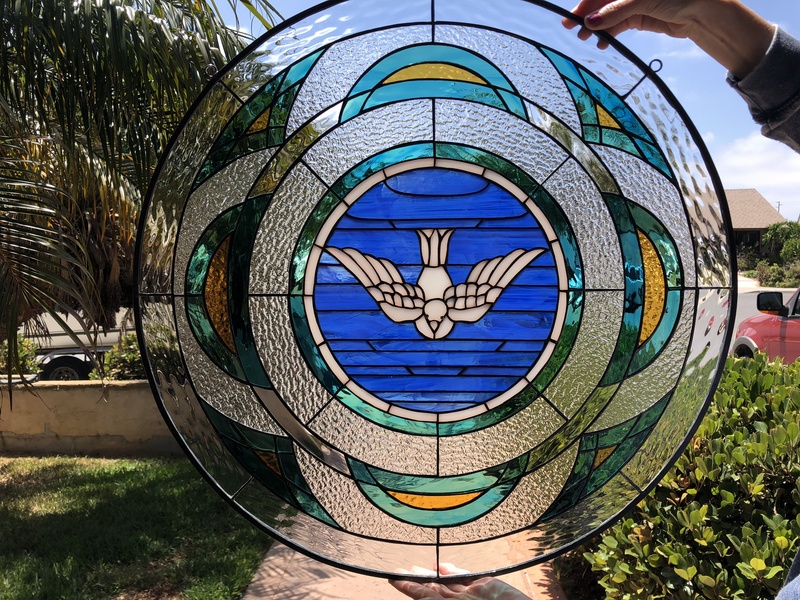 On the wings of a dove, our beautiful abstract leaded stained glass window panel brings peace, love, and light to your home. 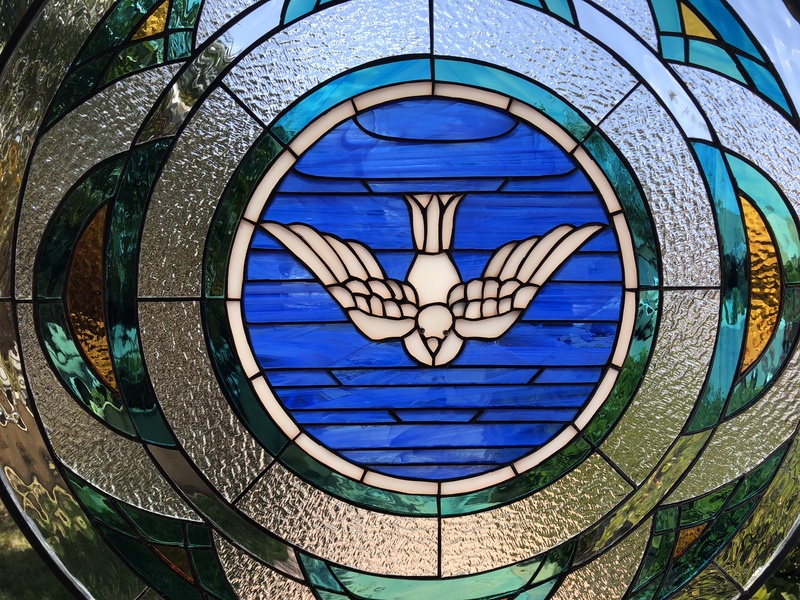 Symbolic of peacefulness, let our dove stained glass window panel watch over your home. Surrounded by a symmetrical pattern of colored and textured glass in a circular cut, any room is the perfect place to hang it up for added love and harmony.